Difficult contest with relatively few submissions, but all were remarkable. An impressive color rendition of Yoshi’s head, amazing proportioning and great detail. 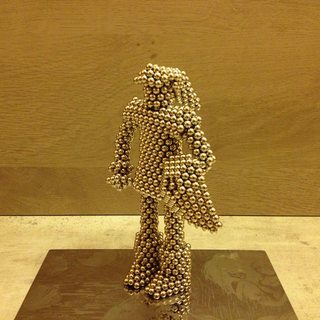 Even the nostrils are marked with different colored magnets. A somewhat dark shot, but very sharp at full resolution. Click to view. $85 Zen won, also exchangeable for 50% in Bitcoin. 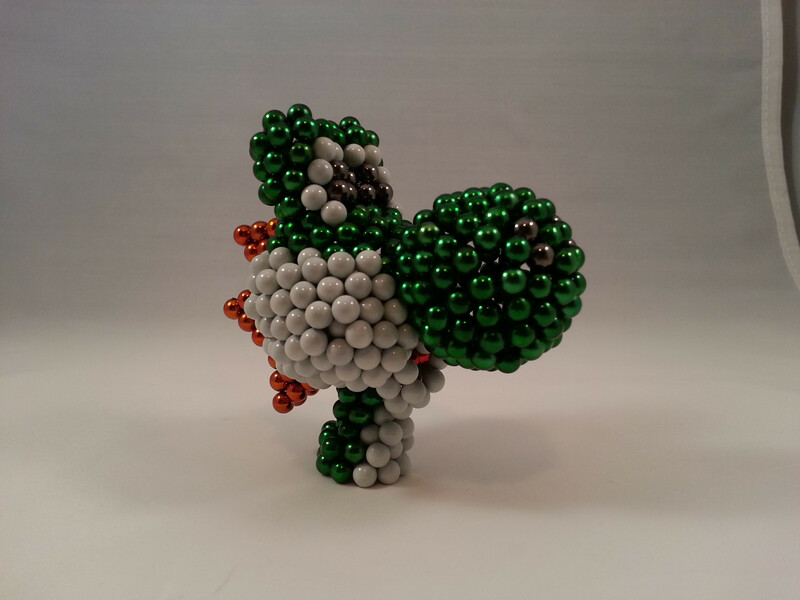 An incredible case of curvature control shown in this full body version of Yoshi. 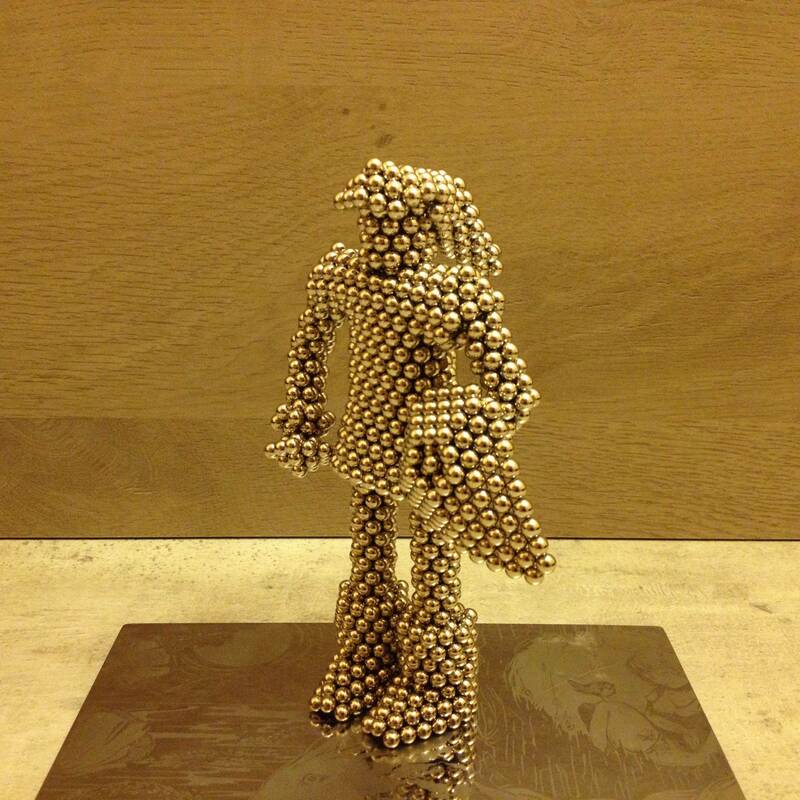 Those with experience working with magnets, will know how difficult this sculpture was to create. $70 worth of magnets won. One hungry hungry Kirby! 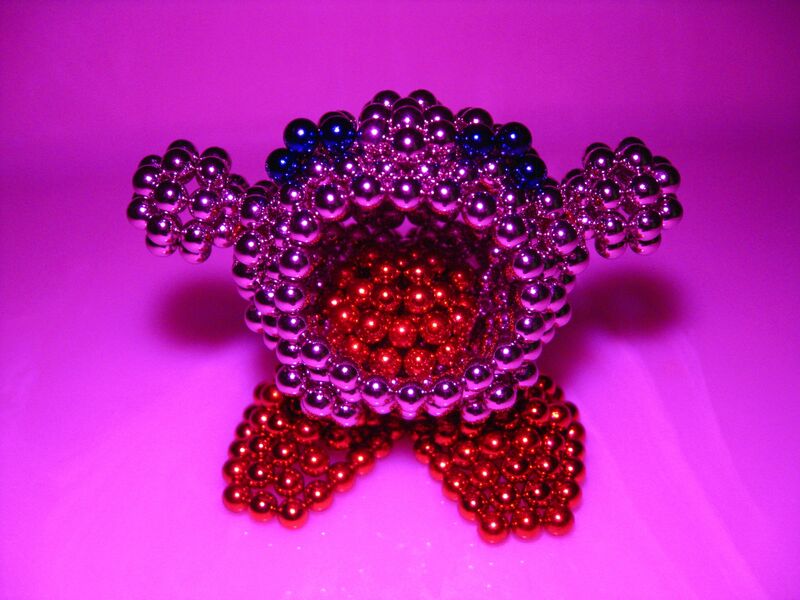 Exactly 438 Zen Magnets were used to capture Kirby in the middle of his Inhale Attack. Neoballs were used for the colored eye, mouth and feet detailing. Each entry in this contest is quite impressive, so we’ve stepped up the lower tier prizes: $65.96 awarded for the 4th place ties. This is one of our favorites. A tall free-standing Link, visibly holding his shield and grappling hook. The shape of his hat is as distinct as his boots. Wish we could see it in 3D… $65.96 in Zen earned. 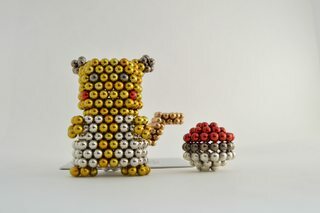 A cute Pikachu, standing next to his pokeball. This was created with only 216 yellow neoballs, along with other colors. 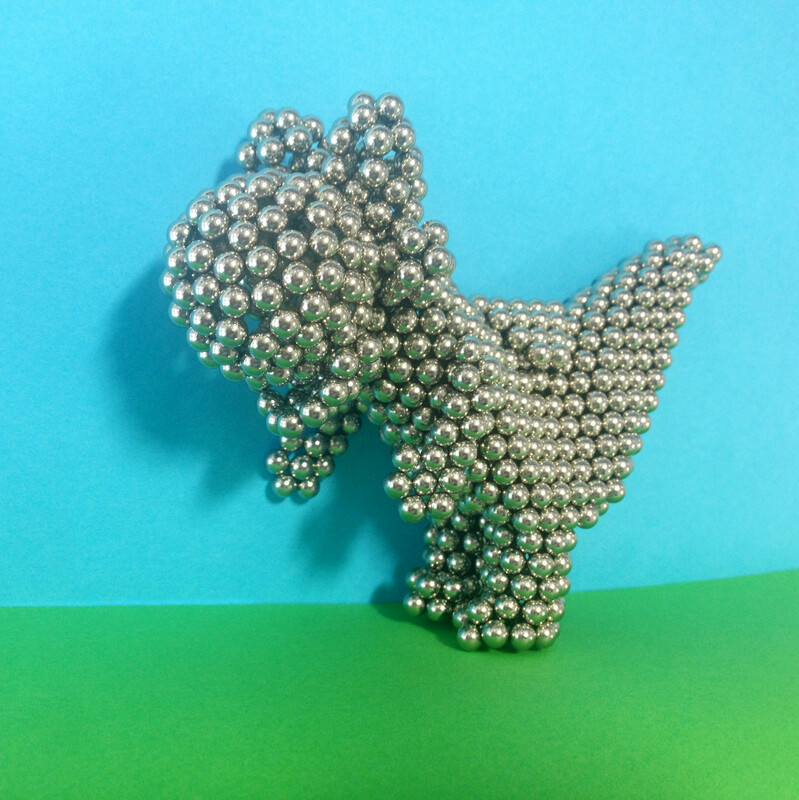 Jrcpalmetto says, “I ended up stacking irregular hexagons and rings on top of each other until I got the shape I wanted, and then went back and added exactly 216 yellow neoballs and a face and tail (also made of irregular hexagons a.k.a. 12 triangles).” $65.96 Zen won. 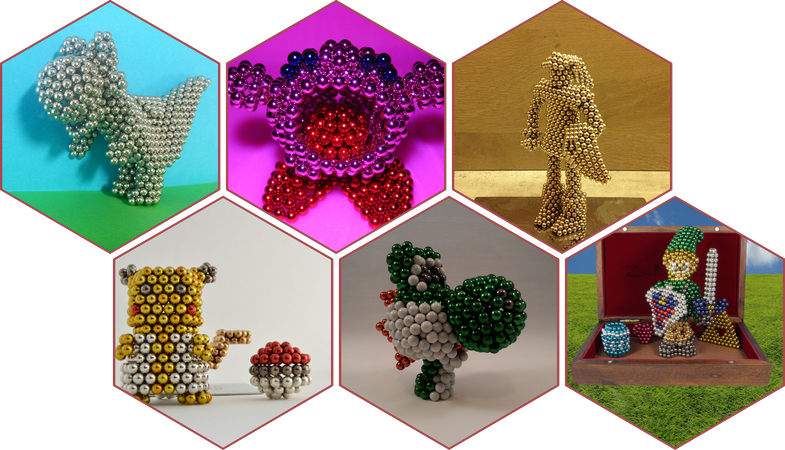 6 Incredible Entries for the July 2014 Super Smash Bros Character sculpting contest. 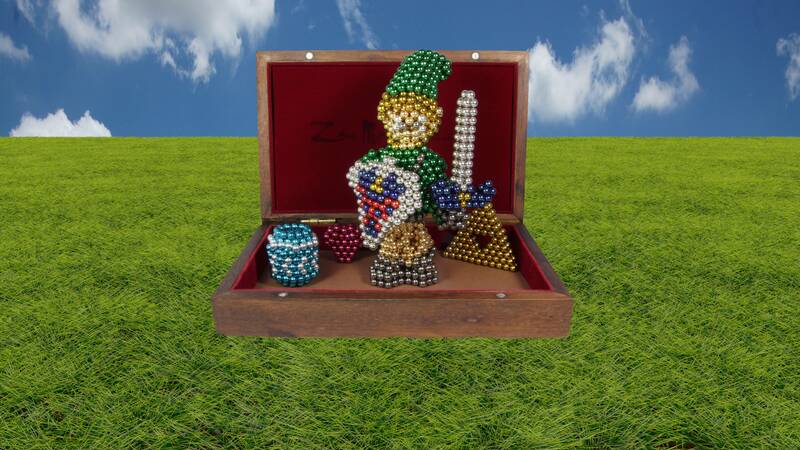 The rest of the prize scale will be announced with the winners. Judges, remember that this contest is a photography contest just as much as it is a magnet sculpture contest, overall aesthetic does matter. Voting deadline is 9/30.